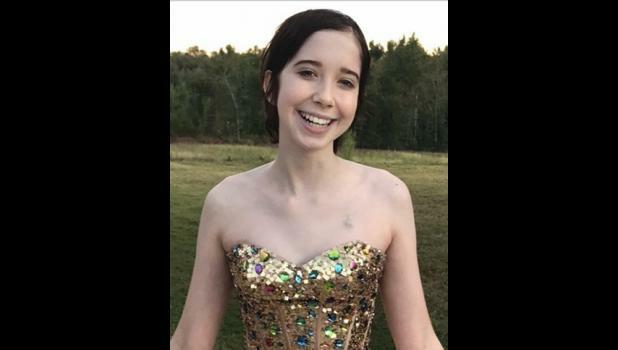 Isabella “Bella” Grace Muntean, 15, passed away peacefully surrounded by loved ones on April 6, 2018. Bella was an old, wise soul at heart and lived way beyond her 15 years of life. She thrived on education, was a straight A student, played the flute in concert band and was accepted into State one week prior to her cancer diagnosis in 7th grade. She loved traveling, art (she received 2nd place for an acrylic painting in the State of SC in 5th grade), antiquing and was an avid doll photographer in the American Girl Doll community with over 23,000 followers from all over the world, all different cultures who loved Bella on her Instagram-thenookdolls. She LOVED American Girl!!! Bella learned early on the reward of giving back which began when she was 6 years old at an orphanage in Romania. After that joyful experience, Bella devoted her life to community service from volunteering at soup kitchens, Salvation Army, a local nursing home and during 5th grade she had 106, out of the required 10, community service hours for the school year. She was awarded as 1 of 10 students out of thousands, in the Upstate Parent Program Magazine of “1 to 10 Students Who Make a Difference” based on their community service. That year she also raised $600 for a local boy who wanted to go to Legoland through Make a Wish, never realizing one day that she would also be a recipient. In 7th grade when Bella was diagnosed with an aggressive cancer, that didn’t stop her and she was a true “Warrior” never giving up any battle on the journey she faced! Her indomitable spirit and unwavering faith encouraged her family and friends to persist in the face of any struggle. She loved God, never blaming him once, knowing that her purpose of suffering with cancer was to give others hope and bring people closer to God. Several times she ministered to families who were losing their children to cancer and she prayed with them and encouraged them in faith. Her strength and courage while facing her own battle was only possible through God. In April 2017, while in treatment, Bella began her own charity-Angels of Hope (it isn’t a non-profit yet), to help kids like her with cancer. She has been able to make monthly deliveries of pillowcases with an angel drawn on them by nurse Pam, filled with toys and American Girl dolls and items for boys and girls. In February 2018, Bella received the “Prudential Spirit of Community Service Award” because of her own charity work. This award was given to six students in the State of SC and she received a bronze medallion and another award for her charity of service by President Donald Trump with a letter from him. Bella was always smiling, positive, selfless and always there, no matter how she felt, to help others in need. She loved igniting faith and changing lives! She was an inspiration to all of us and the world is a better place because of her. Her legacy will live on and she will never be forgotten. May we all strive to be like Bella! Also surviving are her sister, Julia Muntean, of Ann Arbor, Michigan; paternal grandmother, Ana Muntean, of Sibiu, Romania; maternal grandparents, Jesse Mellott (Henrietta), of Lordstown, Ohio, and Bonnie Vaughan, of Greer; and two uncles, Nicolae Muntean, of Sibiu, Romania, and Jesse Mellott II, of Greer. A celebration of life will be held at 11 a.m. Saturday, April 14, 2018 at Covenant United Methodist Church, conducted by Pastor Darren Hook and Pastor Linda Guthrie.